Ideal for photographing all types of clothing on a mannequin, with a live model or for portraits. Two SimplyFoto Lite Set 5070 with Full Sized Studio Background and Heavy Paper Roll. The Background Stand comes with a smart and practical Carry Case. * When you purchase this item, we will contact you with the colour choices for the Background Paper Roll. We do not hold all colours in stock so please allow an extra day or two for delivery of the Background Paper. Roll. Background Paper Rolls are Special Order items. Important Note: This product can only be shipped to the UK and to other EU countries. The Mannequin Photography Kit is ideal for photographing all types of clothing on a mannequin, with a live model and for portraits and video. SimplyFoto Lites are a versatile, continuous lighting, compact fluorescent studio lighting solution. 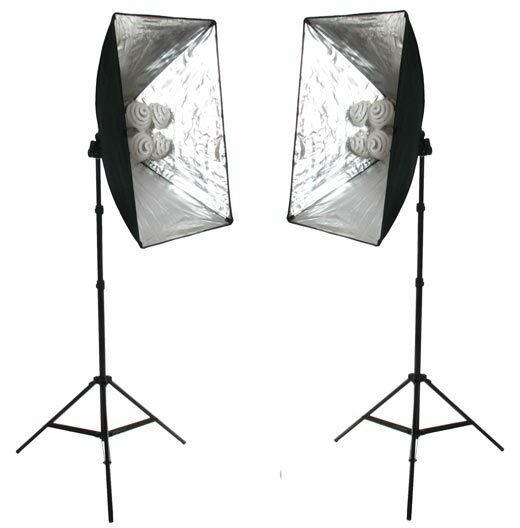 They can be used as full studio lights (diffuser covers included) or to illuminate any light tent. They come with our own design compact fluorescent TrumpetTop Bulbs 5000K which are perfect daylight colour, cool when in use and have a unique conical shape that spreads the light evenly, all ensuring perfectly balanced results. Two SimplyFoto Lite Set 5070 include a total of eight 5000K 30W Perfect Daylight TrumpetTop Bulbs which provide the same light output as 1200W of photo flood type bulbs but without the heat or colour balance issues. 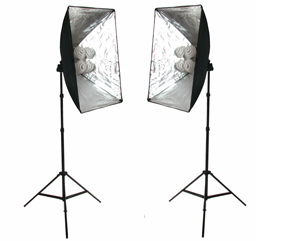 The Large Light Stand adjusts from 2 feet (61cm) minimum up to 6 feet (183cm) maximum. It has a large tripod base and is designed to stand on the floor. The Portable Background Paper Stand adapts to Paper Rolls up to 2.75m (9') long. The Background Frame extends to 2.75m (9') high. It sets up in seconds and folds flat for easy storage and transportation. It is supplied with either a 1.37m (4.5') wide or a 2.75m (9') wide Paper Roll in your choice of colour. 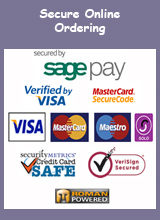 When you place your order, we will contact you by email for your choice of colour. The 1.37m (4.5') wide Paper Roll is available in a choice of 3 colours. The 2.75m (9') wide Paper Roll is available in a choice of 32 colours. Paper Rolls are 11m (35') long. 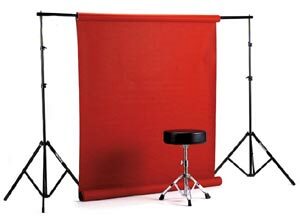 The Studio Background Stand also comes with a smart and practical Carry Case. Overall maximum size 2.75m high x 2.75m wide ~ Overall size when packed in Carry Case 108cm long x 16cm diameter. As with all our kits, we provide an unrivalled technical support service to ensure that achieve the images you desire.